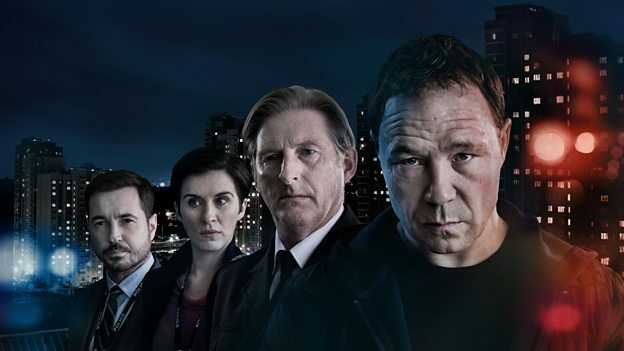 Line of Duty followed up its series premiere with another nail-bitingly tense episode that ended the hour the only way Jed Mercurio knows how, with a really cruel tease that will have audiences waiting until next Sunday to find out the answers to who was revealed to have recruited Jane Cafferty. Could it be Hastings, played as ever so brilliantly by Adrian Dunbar in this episode, who almost doubled down on his brooding from the previous hour? All signs point in that direction, with "H"'s mystery identity being up in the air. John Corbett seems to think that the top dog is someone important and Hastings is not immune from guilt. Neither is Steve or Kate, who have played their part in forcing out PC Bindra. Bindra it seems, was determined to make it up for betraying the trust of Hastings and as a result it led to her death, posthumously admitted by Hastings to being in the line of duty once he heard the recording of the tape. Even though it was heartbreaking enough in the last episode watching Bindra be killed, seeing her comments being played over again on audio will never not be harsh, especially after this information was gained by new access into Operation Pear Tree. It's her death that reminds AC-12 as to why they're really doing this, to prevent other officers from being killed and suffering from the same fate. The show has done a good job at raising the stakes even further and with people's lives being threatened on a near-weekly basis, and it's important to remember that things are only going to get more tense from here. The episode led to some unexpected revelations this hour as we learnt there was more to Cafferty and Corbett than meets the eye. Corbett, played ever so brilliantly by Stephen Graham, gets a standout scene of the episode after abducting Steve in an attempt to swing him to his side. The jury's still out on Corbett - is he a rogue copper who's gone a bit too far off the deep end? Or is he about to be a valuable asset for AC-12? Surely we'll know when Steve eventually decides to bring in the rest of his team up to speed. But for now, Steve, who is recognised as being as authentic as they come by the criminals who tip off Corbett about his interest in the OCG, is keeping secrets of his own. It's a dangerous game to be playing Steve, and these are dangerous times. I did like that Corbett still seems to be fighting for the good guys even if his methods are questionable and it creates a fascinating dilemma that Steve has to come to grips with given that he has now finally - after all this time, managed to make contact with H over an anonymous chatroom. It's not the only thing that Steve has to deal with here as well this episode as his personal life is about to get more complicated, with Sam - his ex-girlfriend, appears here again right after Kate tells him to start thinking about settling down. Sam's reappearance almost feels a bit too convenient, especially when this show is starting to connect so many dots. There's even an appearance by an ally of Roz Huntley - her federation rep from series four, DCI Mark Moffatt. It's potential that whilst Hastings may not be the top man, he's not completely innocent of his own dealings that could land him in hot water. Whilst at the same time it seems too obvious for "H" to be Hastings, it feels like too much is invested in the reveal of it being Hastings for him to be let completely off the hook. I really, really hope that #Hastingsisinnocent though, and I'll be very devastated if he's a bent copper. A hijacking is as never as simple as it appears and it turns out that there was more to Cafferty than meets the eye. Her entire team was full of corrupt officers, herself included, blackmailed by someone who had CCTV access of her affair that they were using to blackmail her. Cafferty is busted when one of Corbett's men goes to her house - and is met with plenty of Armed police waiting for him. Eventually, she's willing to co-operate, and that's where the episode cruelly, very cruelly ends.